My usual foundation has no more than a couple of week’s worth of product left. It’s a little too soon to commence using my summer lighter-weight tinted moisturiser so I knew I’d need to make a trip to the Bare Minerals counter very soon. A timely newspaper article, a magazine recommendation and then an internet advert bombarded me with messages extolling the virtues of Your Skin But Better CC+ Cream by IT cosmetics. Allegedly, this ‘beauty insider’s secret’, was developed in conjunction with plastic surgeons (this bit did not tempt me) and would leave my face looking ‘seamless’ whatever that means. No, the bits I liked were the 50 spf and the suggestion that it gave great coverage and would ‘reduce the look of fine lines and wrinkles’. Wrinkles aren’t a great concern at present but anything that might improve the fine lines was definitely worth a try. The promise that it would hydrate my skin also appealed. I’m about to save you £30 – always assuming that you were thinking of spending it in the first place! Fortunately I wasn’t sufficiently seduced by the hype to spend it either, but I did try a sample with the intention of buying had I liked the product. The reviews were generally good, some even excellent, and it offered:- colour correction, hydration and anti-ageing properties. Now I’m not stupid; I wasn’t expecting the anti-ageing promise to make me look younger, but neither had I expected it to make me look older. This over-thick, too dry cream just sat in the facial lines and, I swear, emphasised rather than minimised them. The colour (I chose Fair) was too dark and also a touch orange. I must confess that I have never worn foundation and still don’t. I think I’m scared of it! I’m fortunate that I have an olive skin which I never fail to moisturise. I’m a fan of Clarins products and sometimes use their Flash Balm. I’ve had a couple of makeovers which have always included foundation and which I inevitably wash off because it looks as if it has been put on with a trowel! Haha, the trowel-look is that which the make up counter ladies staff often favour! An olive skin is to be envied. Mine is as near as pasty pale as skin could be … which simply makes everyone ask if I’m ok because I look so unwell . I definitely need the colour. The downside to an olive skin is that it can look sallow, especially in the winter. Thank goodness for blusher! Blusher is a definite need for me! Bare Minerals is where I’m going next, after I’ve finished my organic mineral powder. My daughter says Bare Minerals are as good as more expensive ones. A friend turned me onto micellar water, so on your recommendation, Garnier it shall be. I have downsized from getting my hair salon dyed and am going to be using Garnier for this. I replaced my $40 shampoo and $40 conditioner for keeping one’s hair colour, with John Frieda for brunette- dyed colour. And I’m now cutting my own fringe. Saving heaps. My daughter in law must have saved me a small fortune over the years by doing my hair. I do still pay but definitely not salon prices. Brilliant review, Eloise!!! I found the same problem with the BB cream I used, it was heavy and did not have the lovely flow of Boots No 7. One day I might shell out on Bare Minerals, I know you rate them highly. But I’d not buy the new Boots foundation I’ve just bought again. Cheap and nasty. I’m using a Maybelline mascara, but might return to good old Max Factor which I’ve also used for years. It took me a long time to find a brand that I really like. The bare Minerals foundation is best applied with a brush – not a standard one but one specially designed for it. I love it, not least because it uses such a tiny amount. 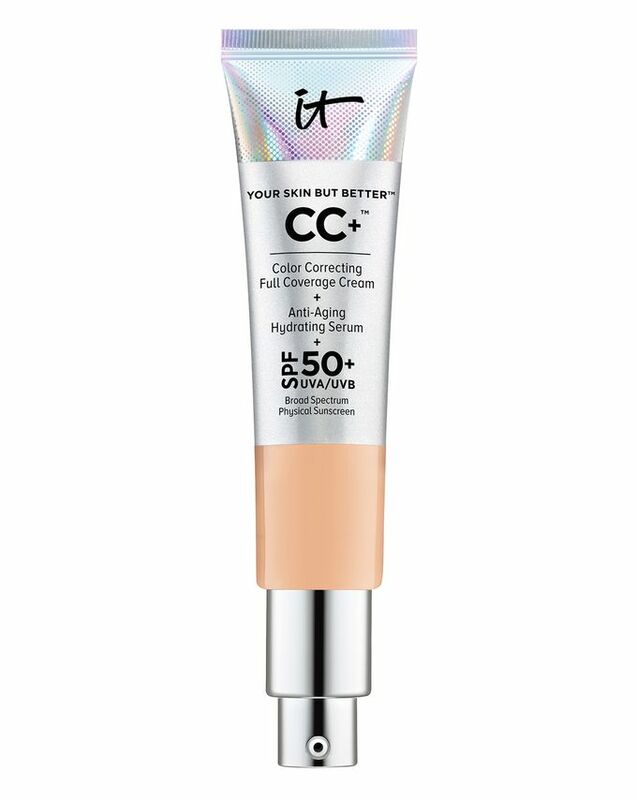 I find that one bottle of foundation and one tube of tinted moisturiser (30SPF) for the summer, last me about 18 months, so although it is pricey, it works out to be quite good value. I find that after trying a different mascara, I always return to Max Factor. I’ve tried so many make up brands and products over the years and Bare Minerals suits make-up suits me best (though ALWAYS Max Factor for mascara). I should never have let myself get carried away with the marketing hype. Yes, sometimes basic is best. Although I use mostly Bare Minerals skin products, cheap Garnier Micellar water is, to me, the best cleanser ever!